Call, text, email- whatever you like best! One phone number, no extensions, no need to press zero, just my direct line right to me. Through Bluetooth connectivity which helps en route- and even now aloft in the tree, I aim to make myself more reachable via traditional voice calling. For many busy people, a text is a great solution to provide some quick necessary details (including address) so we can get the dialogue started. Email is the ‘go-to’ for many and a great way to begin the process in order to share written quotations. In any case, I welcome you to reach out in whatever form that suits you best for a no obligation discussion of your tree concerns! While we don’t have specific hours per se, I understand that in some cases work needs to be completed outside of the typical work week (to avoid business disruptions for example). We can often accommodate these special circumstances. Tim’s Tree Trimming & Removal Ltd.
How much will it cost to trim or remove my tree? This is often the first question! Let’s face it, sometimes it comes to the bottom line. I really wish that I could give an easy, accurate answer to what seems to be a straightforward question. Unfortunately no two trees are the same and moreover no two properties are the same. There can be subtleties to your tree or property that play big roles in the job as a whole. The good news for you is that instead of speaking in general terms and in ballparks, I invest my time in looking at your job individually and giving you a price that you can quote me on. It’s the difference between an estimate and a quotation. 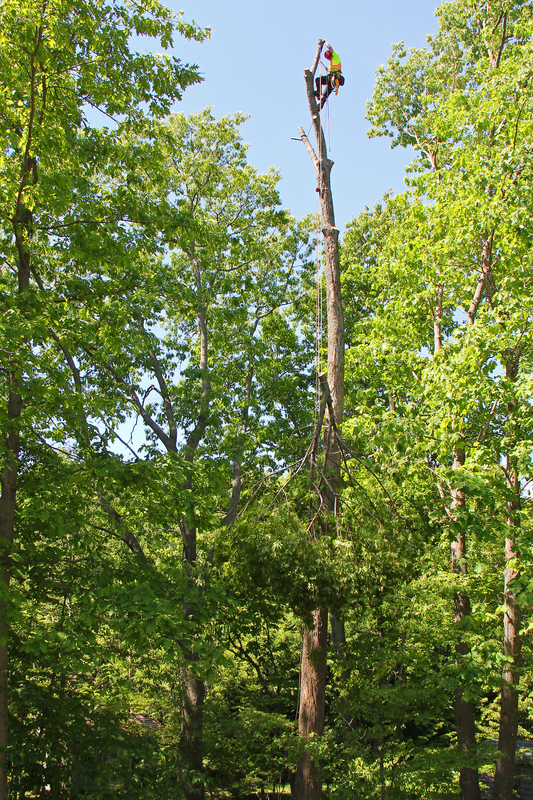 You may need a permit to cut your own tree on your property. Like it or not, these tree by-laws are here to stay. When a tree is protected, property owners, arborists, and the governing municipality have to work together. I’m familiar with the requirements and processes to help you along the way. Going forward the fact of the matter will be that some trees will not be granted permits to remove. We aim to find solutions through pruning and/or support to let you comfortably co-exist with your large tree(s) if they need to stay. My neighbour’s tree is a problem, what can I do? This is a common issue. There’s many factors that keep this from being a short answer. Through experience, the good news is that most often times we can help to find a solution that works for everyone. Rarely ever is ‘cut it at the fence line’ the right move, I opt for open dialogue instead. What should I do to prepare for your arrival to work at my property? Not much really! Many customers aren’t home when we’re working so the biggest thing is just allowing us clear access by moving vehicles that could be in the way. We aim for an outstanding final cleanup and it can be so helpful if grass is on the shorter side and all animal waste is cleaned up.